Me and a friend have been working in Unity3d on various little indie games in the past year(s). Our first big-ish project was a beat-em up with Robot-girls, it had a lot in common with Cyborg Justice (Actually, I may still have a web-playable version of this somewhere if anyone is interested...). Next I tried to get inspiration from the new X-Com games and make a skypirate tactical game (Which was to feel like a Steam-punk, anime version of Rum& Bones, if you are familiar with that board game). That one died a pretty quick death, because I felt like I was trying to reinvent too many things and couldn't really tell if I was going in a good direction or not. 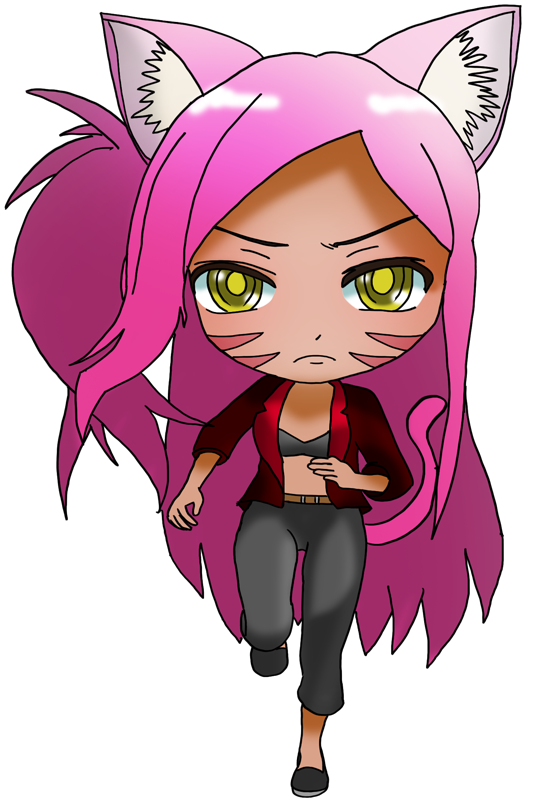 After that project died, I took a few months hiatus from game design and worked on my art. I got better, and still have a lot of room for improvement, but I got to the point where I didn't feel like just drawing for drawing's sake -- I wanted to put that art to use in a game. But instead of dropping it in that Skypirate game, I got to thinking; A Shining Force-type project is something I've been dreaming of making since I was in highschool (That's a LONG time ago..), and at that moment, I told myself that there isn't anything profoundly complicated in those games. My Co-Dev and myself share a love for SRPG (He likes the Fire Emblems, and I'm Shining person). And we totally have the skillsets to make such a project happen. Obviously, there's a lot of need for art, and the usual bottlenecks will be there in front of me -- level/map design, encounter design, town design, story design, character design, art/animation... And for the most part, all of those hats fall on to me. Napkin math indicates that it will take me roughly a year before all the Force are drawn and animated, if I keep a steady pace. So I don't really see this project ending soon, unless I burn myself out. But at the same time, it's something I feel like I _have_ to do, so I'm going to try and keep on trucking. Thankfully, if I get tired of art or level design, I can always go and poke shaders, code, or write dialog lines. Still, in order to allow my co-dev to create features, I will have to touch a bit of everything -- background, maps, enemies, allies, spells, animations, and that will probably lead to a Vertical Slice demo of sorts, once we have enough of the key systems in place. What's up with the name of the game? I don't have a name yet! Nekoforce is just my co-dev preying on my love of catgirls (he knows me well) when he created the project folder. It's a fine name while we're in dev, but I'll have to figure a real name someday. So, what's special about my Shining Force Project to separate it from all the others? Well, unlike many other projects, I'm not going for pixel art / retro grahpics -- I don't have a talent for it. 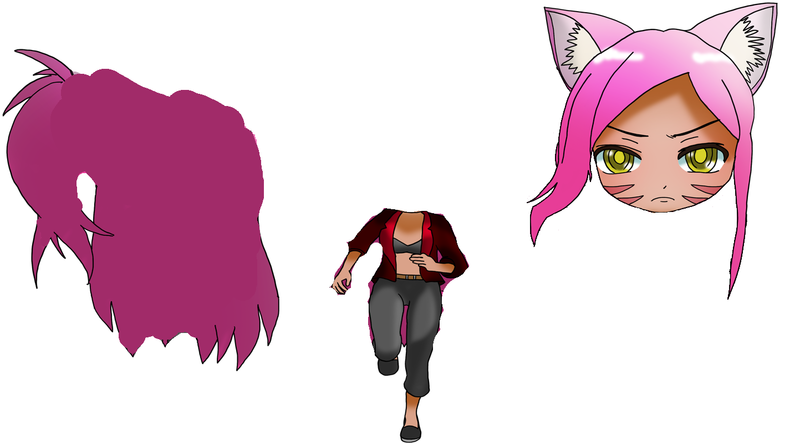 I don't really know how to do 3d either, so instead I will draw regular 2D art and try and get it to work. I'm also not going for tile-base map design -- I feel that with today's computers, it's not really helpful. 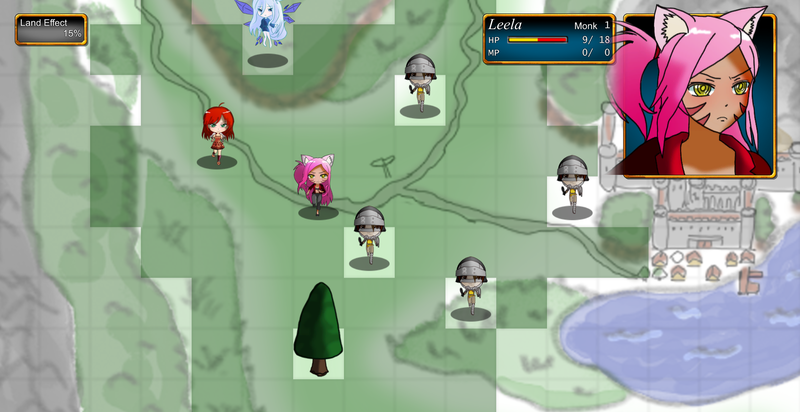 Instead I draw a picture which is the map's visuals, and in combat mode, I apply a logical grid behind it. I'm still not clear on the art direction for the map itself, in my current prototype I use a map of the 2nd battle of SF2 that was drawn in Crayon pretty much. Cute, but probably not what I'm going to end up doing for the real product. I'm planning to have multiple endings, based on player actions. 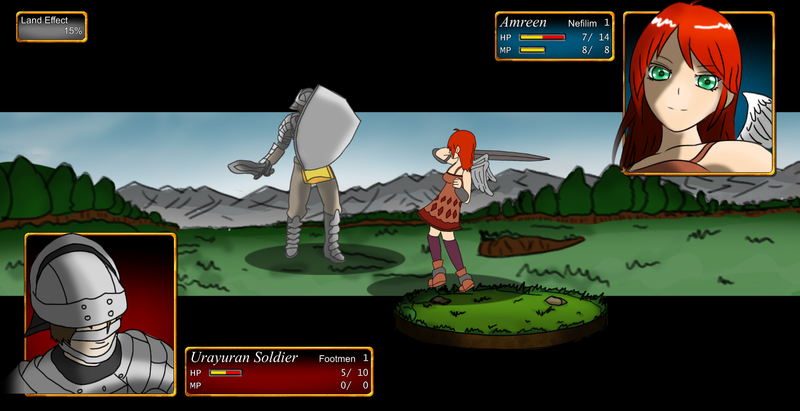 My current design is to observe the player's behaviour in combat and determine the outcome of the story based on that. Similar to how, I think, Ogre Battle does it. I'm not clear yet if I want the player to be able to determine the branching through dialogue choice or actions in the exploration segment, or if it should be solely from how you fight. What's making my project a "Shining Force Project"? I plan to keep the staple cute anime portraits with blinking eyes and animated mouth when they talk. Humans, Dwarves, Elves, Werewolves, Dragons, Harpies, Robots and all sorts of weird humanoids/monsters in the team! Should the main character be a silent protagonist or not. Amreen is the daughter of the Minister of the trading town of Kuzumur, a crossroad between many kingdoms. She was born with tiny nonfunctional angel wings, which lead many of the other children around her age to tease and not associate with her. Despite this, she remains cheerful and well-behaved. Leela is bit of a tomboy and very protective of her "little sister" Amreen (who is actually taller than her). Her explosive temper tends to get her in trouble. An archer, part of a small detachment of warriors sent to help defend Kuzumur by the neighboring Elven nation. He is wise, skilled with the bow, and has many times helped Leela and Amreen avoid AND get out of trouble. *Edit 1: Added Surion in the cast. Hey there, welcome to the fanwork section. The shining heroes weren't actually mute, their lines were mainly cut because we as the player know what they'd say in that situation. For me personally, I don't have a problem with a non-silent hero, and in my game, Jason does have actual dialogue mainly because my game has more focus on getting to know the characters than the SF games had. There are some people however that do prefer a silent hero. Again, personally, I don't think it makes or breaks the project lol. Should the storyline between battles be told in a VN style or the more classic SF style. You could probably do either so long as you don't completely remove town exploration. Personally I enjoy the SF style of cutscenes more since you actually have characters moving around as opposed to static images, however, you can pull more detail out of using a much larger image as opposed to a small 24x24 character sprite XD. I actually thought about using a combination of both for my game, (The VN parts being similar to that of Phantasy Star 4), but I scrapped the idea as I lack the art skill required to draw such things. My idea was to essentially animate as much as I could in the style of SF, and use the larger static images for things that needed that extra level of detail. Anyways, I like your art style and I cant wait to see how this project develops. I'll be looking forward to playing your first demo! I'm thinking of doing like you did in Syro, and give Amreen a voice. The problem I have is that this voice should technically change depending on your choices during gameplay / the narrative. Having a silent hero is easier to support the multiple paths / endings the way I am currently thinking of. At this point, it becomes a question of scope. It can be a question for Future Me (TM), however, as my main focus currently is to get the battle system to a playable state. At the very least, though, I want to add voice to each character in during combat, and those would apply to the protagonist as well as the rest of the crew. The Phantasy Star 4 comic-book style story intrigues me. I don't think I have the talent for that, either, but it's certainly a mix between the VN style and the RPG formula that would work. My biggest fear with the SF-style story mini-cutscenes is that my chibi characters don't seem like they would be very easy to animate to deliver a story. I'll certainly have to think a long while for how I want to tell the story between battles. Need 2 spell effects (Probably a heal, and a nuke). Add 4 make that ~8 extra animation frames for the spell-casting character(s). Amreen is a weird character, so she gets _19_ frames of animation for casting. Need at least 2 different enemy types (Probably something like: Melee, Ranged. Similar to heroes, it's 4 frames of portraits, 6 frames for chibis, and 7 frames for combat). Currently sitting at 1/2 done. Need 3 Backgrounds (0/3). Probably for Forest, Hills and Plains. Need 3 ground tiles (for the heroes) 0/3. Forest, Hills and Plains once again. Currently my programmer is working on the targeting system for attacks/spells. Calling the CombatScape and firing the animation event should be fairly straightforward (My current build has debug keys to fire those instead). Damage calculation should also be easy enough. So all in all, I'm expecting the first real demo should be playable around end of January? -Currently, Surion and Leela are pretty much "done" as in they have a first pass of their attack, idle, parry animation, their portraits and in-game sprite. -Amreen still needs lots of love -- she has the basic 7 frames (idle, parry, attack) still only flat-shaded. She also needs 19 more frames for casting. - Precasting (2 frames), which is an animation that blends from idle to go in a first casting stance. - Casting (2~5 frames), which is a blend from the pre-cast loop to the proper Casting Loop. - Casting Loop (2 frames), which is a looping idle that holds as long as the effect is being applied to targets. Amreen needs 19 frames, because she is able to cast from 2 different schools of magic, and they are different enough that I think it warrants both VFX and animation to distinguish them. With some luck, I will be done animating at least one of those two before the weekend! Last edited by Doh042 on Sat Dec 16 2017 6:44pm, edited 1 time in total. My biggest fear with the SF-style story mini-cutscenes is that my chibi characters don't seem like they would be very easy to animate to deliver a story. SF solves that issue by adding a few simple animations to the overworld sprites. Head Nod, Head Shake, Shudder, Spell Cast, and Jump (Also used for surprised expressions). It's a very subtle thing, but it surprisingly adds a lot to those overworld cutscenes. Chaoswizard98 wrote: SF solves that issue by adding a few simple animations to the overworld sprites. Head Nod, Head Shake, Shudder, Spell Cast, and Jump (Also used for surprised expressions). It's a very subtle thing, but it surprisingly adds a lot to those overworld cutscenes. I suppose if I limit the characters who are allowed to do these things, it wouldn't be so bad! Could they actually do all these things in all 3(4) directions in SF2? Or did the Shudder (That's when they interact with objects and such, right?) always facing the same direction? I'll have to examine my copy of SF2 some more...! Generally shudders were in any direction if I recall, where they just took a square of pixels around the head region and shook it back and forth. Generally I recall seeing it facing up or down, though. All animations were done via moving a portion of the sprite. In other words, separate the head from the body and just move the head for the duration of the animation. No extra art needed. Shudder is slightly different as you just stretch it down a tad for a few frames before moving it back up. I'm not sure I can easily chop my characters and animate the head part independently... especially when they have that much hair! Ah, you didn't make them on separate layers when you made the sprites? So what I'd think is that you make your sprites three layers, like this, that can be animated by hand beforehand or swapped out with a single-piece sprite on the fly when you need a shudder. The hair back would obviously be behind the body, and the head in front. When you wanted a shudder you would just shake the hair and face layers. It doesn't seem like it would be too difficult? But your sprites have to be made with this in mind. They're in layers, but not the type that's useful here -- they're split by color for easy re-colouring, not for easy manipulation of front/middle/back parts. I certainly could cut them all up for animating that way, but the game currently displays them as a single sprite, rather than collection of parts. I'll think about doing it this way, though. Nothing is ever set in stone! You could do what I do, maybe. For my game I have a character with a run animation that needs to change (to allow an attack animation while he's running) so even though I usually display him as one sprite, when running that sprite is just the legs and it generates two helper sprites for the torso and scarf. So in general I would just make a split version of the standing still animations, you wouldn't need to do it for all of them. In my project, I'm going about it the tedious way. lol. I have to hand-animate all the frames of everything, and I have a WHOLE lot more than 50-ish characters. I have 150 characters in my project, and that's only the ones that have face portraits. Some sprites that don't have face portraits still need to be able to animate too. But the attitude I have about is "just do it. It needs doing." So I try not to think about the tedium, and I just git 'er done. Also, this looks really cool so far. I'll definitely play the hell out of it when it comes out. PS: What are you using to host these images? 'Cause I've always used Photobucket, but that doesn't work anymore without a paid account... I need something new (and free) on which to host my IMG links. Imgur is what I use nowadays. Cutscenes/sprites/narrative will be on the menu soon, because I think I'm getting close to having the fight system playable enough for the first demo. I need to add some spells, and maybe one healing herb per character, but the later isn't very important for now. I do want to add some kind of combat bark system, but that could be something added later. I still think I have to consider this subject over for a bit. For the images above, I used Deviantart for one of them, and a random website I own ( nivicare.com ) for the majority of the rest --- I probably should use Imgur, instead. Canadian devs yay! -- my colleague is actually from Regina, if I didn't say already. I use a random Google Sites website I have to host my images, with a page tucked away just for them. I'm partial to SF1 ranged attacks, but I always have an SF1 bias. Tyadran wrote: I'm partial to SF1 ranged attacks, but I always have an SF1 bias. I think I agree with you on that one. I'm a bit torn though, I think I like both takes on it. Not really any need to animated the projectile since it doesn't travel enough distance. It forces me to integrate the "background" transition effect that will be needed for AoE spells later, anyway. Or for when someone later requests you to allow for normal attack AoE. Hurray for explosive arrows. Ugh. I don't want to think of the nightmare of AoE attacks on archery. What do you do for counter attacks? Enemy archer shoots at Surion for 5 damage. Enemy's attack also hits Amreen for 4 damage! Surion counter attacks, hit enemy archer with explosive arrow for 8 damage! Surion's counter attack also hit enemy centaur with explosive arrow for 6 damage! Surion's counter attack also hit enemy fighter with explosive arrow for 4 damage! Enemy archer attacks again and shoots at Surion for 5 damage. Realistically speaking, if I wanted to do an explosive arrow with aoe (and not give archer a rain-of-arrow spell), I'd just make it so that the basic of that character acts AS a spell, and use the archer's attack animation as the casting animation. That would mean no Land Effect, no criticals, no double-attacks, no counterattacks, and being subject to magic/elemental resistance. May also accidentally kill archers' bonus damage against flyers. The problem I have is that a simple weapon changing the rules of a unit so much feels "too much" to me. I'm fine if promoting an Elven Archer into a Sniper vs Cannonneer does that; Sniper is anti-air, double-attacking crazy, and Cannonneer becomes a pseudo-mage instead. For mine, only the initial target can counter the attack. Should the counter have aoe, it's simply ignored which makes things way simpler. In shining force 2, if a burst rock is killed, it explodes for a bolt size aoe. If the resulting explosion kills another burst rock, then that one too explodes. The biggest chain I managed to get was 3. That was one long cutscene lol. Hmm. I'm just going to drop some random thoughts here. I will likely be preaching to the choir, as we are on a forum of fans of SF, but voicing what's on my mind often helps me figure my own brain out. I just showed a demo to a friend of mine, who knows of Fire Emblem, but isn't familiar with Shining Force. Just like when people know ForbidenSeriesTactics, but not Shining Force, I feel like I am forced to educate / justify the design decisions of Shining Force. As a Game Designer, I hold our series in very high esteem, and it is pretty much the epitome of K.I.S.S. (Keep it simply stupid). To me, what Shining Force does is interesting -- I like that enemy range isn't shown on the "B" button when you go in snoop mode. It's only shown during their turn. But cleverly, most fights start you far enough from enemies that you'll get a round or two of movement before it becomes a "risk", and you should have a vague idea of their movement capabilities by then. Shining Force doesn't tell you the turn order. You can't know "oh, killing this guy will cut his round that he's about to have, so I can save my mage", because you never know exactly WHEN he's going to act. You have to take actions that are either disregarding the enemy's actions (focus on your actions, not the enemy), or you have to always expect the worst. (focus on the enemy's next actions). Shining Force doesn't "TELL" you outright that some units move faster in the woods or hills than others. But you clearly notice it when you play those maps / with those units. You also don't know that some units dodge / parry / double-attack more often than others until you have lots of experience playing with them. Heck, I have played all three SF game many many times, and never really knew about the "Land Effect" meaning. Or that archers actually deal extra damage to flyers. Or that flyers don't benefit from Land Effect. Or that enemies had actual typed elemental resistance. I just played. Had a grand time, won the game every time, and was perfectly satisfied. This is the same feeling that I want to create with my game. I don't want to make it easier on the perfectionist or OCD players to act with perfect/magical knowledge of initiative order and enemy range. I want them to get a feel for the battles and enemies, and make judgement calls on what they EXPECT will happen, not what they KNOW will happen. In a time where most strategy games are adding complexities, systems and provide the players with the exact hit, critical and parry chances on screen prior to picking "attack", and the expected damage outcome... I wonder if a game like Shining Force will essentially fare badly. "REAL" strategy enthusiasts would complain that the game obfuscates too much information. Non-strategy games would probably ignore the game, because they don't tend to enjoy the other ones -- they're so loaded with information and numbers and stats, they might feel like it's as fun as doing your taxes. What I worry here is that Strategy Games may have been catering specifically TO the people who like to over-analyze things, and that because of that, marketing a strategy game to OTHER people becomes difficult, and the core strategy players won't like your product either, because it's clearly not complex or catering to their needs. Anyway, will keep all of that in mind. I wasn't expecting to be thinking about THOSE aspects of the game for a while still, but now it's floating around in my head. But if someone was interviewing me today about this? I'd probably tell them that anyone who would look at SF or my game and say "You need to tell me more information so that I can plan my moves better. ", my answer to them would probably be along the lines of "This isn't that type of game." or simply use Bruce Lee's quote : "Don't think. Feel." Huh. Sleeping over it gave me an idea that I really like. I was already planning on having a character that is a strategist/historian/scholar type. I am currently thinking that if he's in your party, your "snoop" tool allows you to see enemy movement range. And another character was planned to be an Oracle who can foresee the future. Having her around would add the Turn Order list on screen, and allow the "Snoop" tool to show you where each enemy unit will go (in theory) on their next turn -- it wouldn't be 100% accurate, as changing the situation would change their decisions, but it could be a useful tool to use, and very "RP" since it would only be a spontaneous "if it was this unit's turn right now, this is LIKELY what it would do."